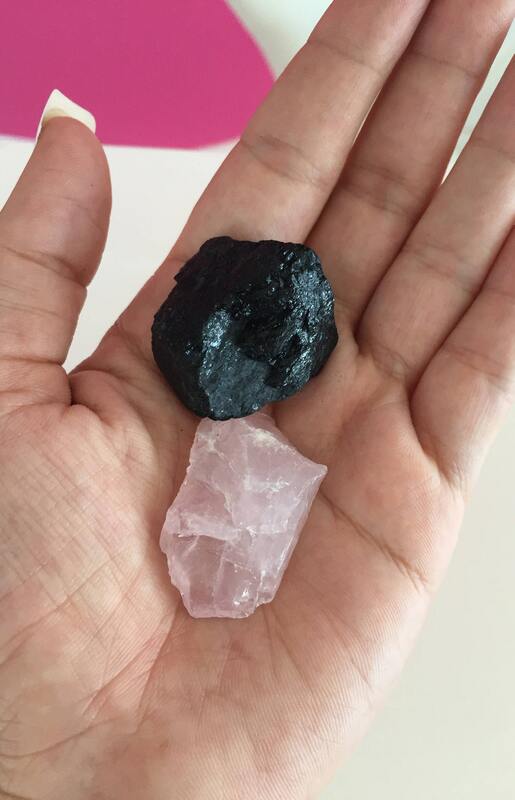 Receive these lovely pair of rose quartz and black tourmaline, both in their raw form which I personally think makes them stronger for healing purposes. This crystal set has strong protective qualities that can help you in all aspects of your life. It can also aid in soothing anxiety, stress and augments within relationships allowing negative feelings to evaporate, There are also Protection Stones that can keep you centered and grounded, or focused and motivated. Used for healing purposes: You can literally place these stones over any chakra or area in need of healing, together they're very grounding and emotionally healing stones that can be used for many purposes. 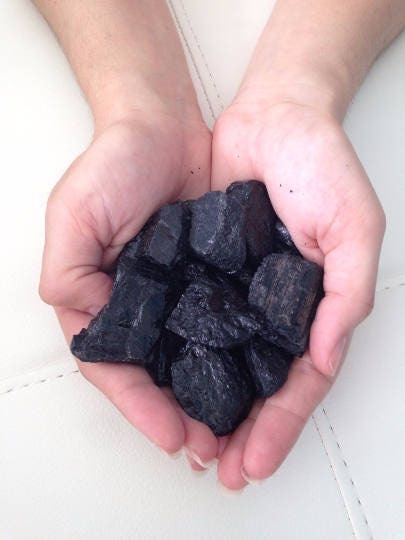 *Black Tourmaline is one of the best crystals for protection, making it a powerful way for how to protect yourself from negative energy. It also helps to put an energetic boundary between yourself and others, so that you don’t pick up other people’s energy, than making it your own. 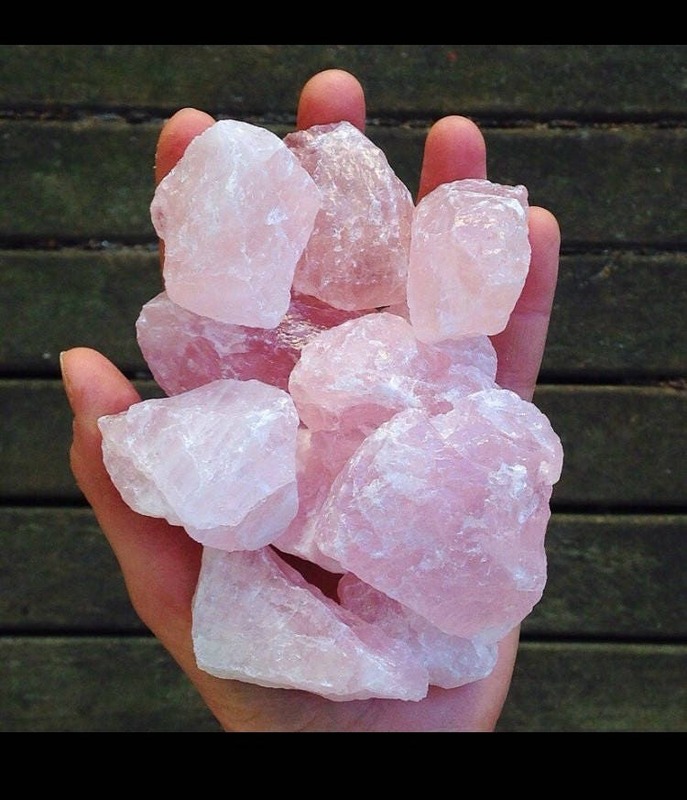 *Rose Quartz is a stone of the heart, a Crystal of Unconditional Love. It carries a soft energy of compassion and peace, tenderness and healing, nourishment and comfort. It speaks directly to the Heart Chakra, dissolving emotional wounds, fears and resentments, and circulates a Divine loving energy throughout the entire aura. Reawakening the heart to its own innate love, it provides a deep sense of personal fulfillment and contentment, allowing one the capacity to truly give and receive love from others. Exquisite pieces that felt very charged upon arrival. The stones are very nice.